Certified Information System Security Professional (CISSP) is the world’s most sought-after information security certification program. It is the gold standard within the security industry. It is a vendor-neutral security certification program organized by International Information System Security Certification Consortium (ISC)2. The program is aimed at equipping and accessing information security professionals with skills required for ensuring confidentiality, availability and integrity of information and security of information processing system. Organizations in Nigeria like their counterparts in other climes are increasingly relying on technology for driving their business processes. This reliance on technology has some attendant risks that need to be identified and mitigated. Consequently, the growing need for well trained professionals who can draw up comprehensive security program to ensure secured IT investment and also ensure that all employees are proportionately security-conscious. Upon completion, participants will have the in-dept knowledge of the entire CISSP curriculum and become confident in dealing with real life data security issues as it applies various business environment and requirements. 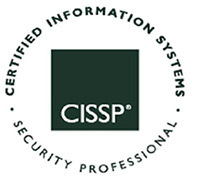 Additionally, participants will able to pass the rigorous CISSP examination at first attempt. Kits Technologies has strategically introduced the training to accord IT/ICT professionals seeking the CISSP certification the opportunity to acquire the knowledge locally in a unique style. This program will further enhance the skills of Nigerian information security professionals to enable them compete favorably with their counterparts from other parts of the world.